Have you been charged with any kind of alleged criminal offense in Live Oak County, Texas? You will want to retain legal counsel as soon as possible in order to achieve the best possible outcome that results in the fewest possible penalties. Goldstein, Goldstein, Hilley & Orr represents alleged offenders in George West, Three Rivers, Pernitas Point, and many surrounding areas in Live Oak County. Our lawyers handle various kinds of misdemeanor and felony offenses. Gerry Goldstein and Cynthia Orr are Board Certified in Criminal Law and Criminal Appellate Law by the Texas Board of Legal Specialization. Van Hilley is admitted to the United States District Court for the Western District of Texas, the United States Court of Appeals for the Fifth Circuit, and all state courts in Texas. Our criminal defense lawyers in Live Oak County defend individuals in state and federal courts throughout Texas. Call (210) 226-1463 today to have our attorneys provide a complete evaluation of your case during a free initial consultation. Interstate 37, U.S. Route 59, U.S. Route 281, Texas State Highway 72, Farm to Market Road 99 (FM 99), Farm to Market Road 624 (FM 624), Farm to Market Road 799 (FM 799), and Farm to Market Road 833 (FM 833) are a few of the major roadways that pass through Live Oak County. Several driving while intoxicated (DWI, also referred to as driving under the influence or DUI) arrests in the county, however, occur on smaller local roads such as Houston Street in George West, Thornton Street in Three Rivers, or Trail Ridge Drive in Pernitas Point. People can face serious consequences if convicted of drunk driving in Texas, and Goldstein, Goldstein, Hilley & Orr defends first-time alleged offenders as well as alleged repeat offenders. Our lawyers also represent people accused of DWI-related offenses such as intoxication assault and intoxication manslaughter. County Judge | Live Oak County — County judges preside over misdemeanor criminal cases that involve possible jail time and appeals from the justice of the peace courts. Visit this website to learn more about the county judge as well as other county offices. 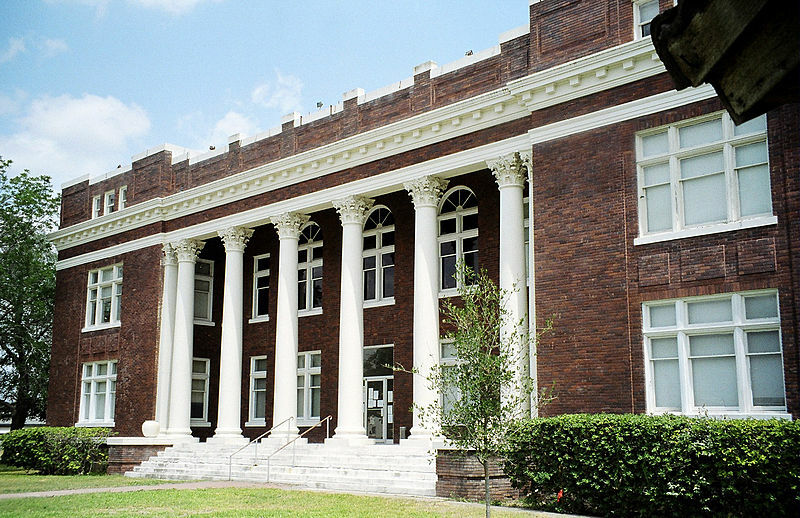 The county courthouse is located in George West, which is the county seat of Live Oak County. 36th, 156th and 343rd District Courts — District courts in Texas have jurisdiction over felony criminal cases. The jurisdiction of the 36th, 156th and 343rd District Courts includes Live Oak County and four other neighboring counties. On this website, you can view a court calendar, learn more about criminal cases, and find other types of general information. Justices of The Peace | Live Oak County — Justice of the peace courts handle traffic violations and Class C misdemeanor cases punishable by fine only. Live Oak County’s justice of the peace courts are divided into four precincts. Visit this website to find each office’s business hours and view courtesy letters. Thirteenth Court of Appeals — The Court of Appeals hears cases appealed from trial courts in Texas. The Thirteenth Court of Appeals has intermediate appellate jurisdiction of cases appealed from lower courts in Live Oak County and 19 other counties in Texas. On this website, you can view a court calendar, read recent opinions, and learn more about the court’s current justices. Live Oak County Sheriff’s Office — Visit this website to learn more about the sheriff’s office for Live Oak County. You can read recent news, learn more about upcoming events, and view notices of estray and public notices. You can also learn more about the county jail, which the sheriff manages and operates. District Attorney | Live Oak County — The district attorney represents the state in the prosecution of felony criminal cases. The district attorney also presents cases to grand juries and helps law enforcement investigate criminal cases. Three Rivers Police Department — The Three Rivers Police Department’s mission is “to positively impact the quality of life throughout the community by providing the highest standards of service to our citizens.” Visit this website to view an organizational chart and learn more about the command staff, administration, and patrol division. You can also find information about various services and answers to frequently asked questions. If you were arrested in Live Oak County for allegedly committing a criminal offense, it will be in your best interest to immediately seek legal representation. A knowledgeable and experienced Live Oak County criminal defense attorney can fight to get your criminal charges reduced or dismissed. Goldstein, Goldstein, Hilley & Orr represents alleged offenders all over Live Oak County, including Pernitas Point, Three Rivers, George West, and several other nearby communities. They can review your case and help you understand all of your legal options as soon as you call (210) 226-1463 or fill out an online contact form.